Quick Haag have signed 24 year-old New Zealand all-rounder Sean Davey as one of their overseas coaches for the 2018 season. Davey is a right-handed top-order batsman and medium-fast bowler, who represented New Zealand U-19 at the 2012 World Cup in Australia. He spent the summer in England (634 runs, with an average of 48, and 45 wickets for Slaithwaite) and Ireland (314 runs, including a century, and 12 wickets for Malahide). He helped Malahide win the National Cup with a Man of the Match century in the final and also saw them gain promotion to the top division. In the New Zealand domestic season, he has made 530 runs last year (with three centuries and an average of 76) in the battle for the Hawke Cup, where he also took 17 wickets. He has also recently made his Twenty20 debut for Northern Districts. 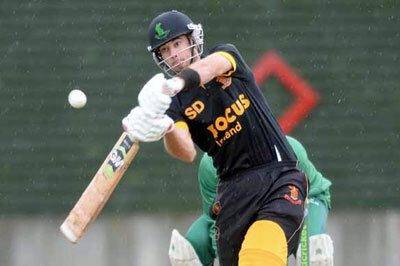 As well as Davey, Namibian Pieter Groenewald will join Quick as a player and coach of the second team. Quick are also working tirelessly to recruit a second overseas reinforcement for the first team. De Haantjes became national champion in 2013 and 2014 and finished fifth in the Topklasse last season.